When Elisabeth Grace Foley offered to allow me to review her latest short story, I jumped at the chance. I love historical fiction and, being from the deep south, the Civil War has always held special interest for me. I don’t read many short stories, because they are just that, short. I like to find myself immersed in a story and learning about a character. I found myself enjoying this story, despite the fact that it was short. 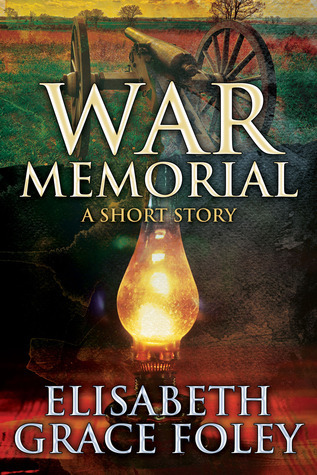 War Memorial is a delightful as well as thought provoking story set during the Civil War, told by a father to his children on a stormy night. I don’t want to give too much of the story away, so I will just say that two people from opposite sides of the war meet, and it changes their lives. I can imagine this being a perfect family night reading. But I suggest to get the full effect, you wait until it starts raining; turn off all the lights except one oil lamp for your dad to read by. I recommend this book for family read-aloud, for those interested in history, and/or those looking for a well written, short read. I received this story from the author in exchange for my honest review. I was under no obligation to write a positive review. The opinions in this review are entirely my own.